Making European Dressed "Skull and Antler" Trophies has never been easier. No more paying a taxidermist to prepare your trophy or spend hours standing over a boiling pot. Introducing The Buck Boiler from On Time Wildlife Feeders. 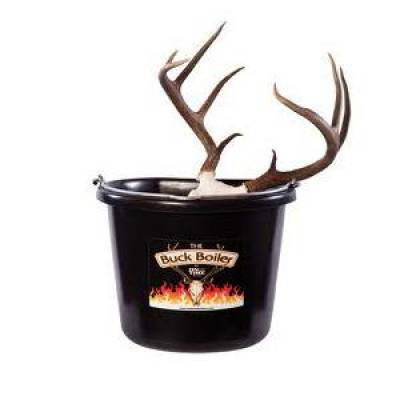 The Buck Boiler is the new and easy all-electric system for preparing your own European Dressed Hunting Trophies. You'll have a clean deer skull ready to mount in eight hours or less. Check out our how-to video. The Buck Boiler from On Time Feeders is the safe effective and inexpensive way to prepare European Dressed Hunting Trophies yourself.